The Bravo pet food brand grew out of a company that supplied high-quality meats to fine dining establishments. Using their experience in this industry, the founders of this company released their first raw pet food product in 2002 and the company is still a pioneer and leader in the raw pet food industry today. Bravo pet foods are made with the highest quality ingredients that nature has to offer including select cuts of meat, antibiotic-free poultry, and responsibly harvested fish. Their products are made with a multi-step process to ensure that the highest standards for quality and safety are being met while keeping their products as close to natural as is possible. This brand operates with a mission to “make good happen” which is driven by the desire to give pets the best so they can be their best. That is why this brand offers only premium pet food products including raw foods, freeze-dried foods, and high-quality canned foods. The Bravo pet food brand is a family-owned and -operated company based in Manchester, Connecticut. The brand’s parent company has been providing fine dining establishments with high-quality meats for more than seventy years and they use the same quality meats in all of their pet food products. The brand truly got its start in 2002 with the release of their Bravo Blends line of raw pet food. Today they offer more than 125 different products for both dogs and cats, all mad from the finest, most nutritious ingredients that nature has to offer. The Bravo pet food company makes it very clear that their products are made in the USA. At the bottom of their web page they state, “Product of USA” and each individual product page carries the claim “Made in the USA”. The FAQ section of the website also states that the brand makes all of their products in the USA and they mention that their business headquarters is in Manchester, Connecticut. This company is headquartered in Manchester, Connecticut and they manufacture all of their products in the United States. Not only is this a U.S.-based company but, according to the FAQ section of the website, most of their ingredients are sourced from the USA as well. In response to a question regarding the sourcing of their ingredients, Bravo states that the majority of their meats and poultry come from the U.S. while some ingredients are imported from New Zealand and France. They also make the distinction that none of their ingredients come from China. This company also clarifies that their products are all non-GMO and they make every effort to use organic and hormone-free ingredients. In September 2007, the company issued a recall for 2-pound, 5-pound, and 10-pound tubes of chicken and turkey raw frozen foods due to potential salmonella or listeria contamination. In June 2011, the FDA issued a recall for 50-count bulk Oven Roasted Pig Ears due to potential salmonella contamination. In March 2013, the FDA issued a recall for 2-pound tubes of raw chicken blend dog and cat food due to potential salmonella contamination. 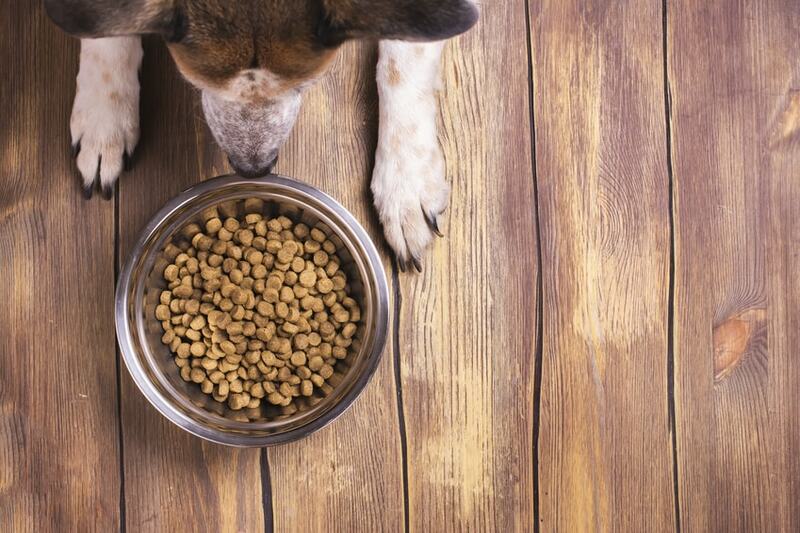 IN April 2013, the FDA issued a recall for several frozen blend dog and cat food products due to potential salmonella contamination. In May 2014, the FDA issued a recall for a number of beef, turkey, and lamb blend raw dog and cat food products due to potential for listeria contamination. In September 2014, the FDA issued a recall for select lots of turkey and chicken raw foods due to potential salmonella contamination. In July 2015, the company issued a voluntary recall for several chicken blend raw foods due to potential salmonella contamination. In December 2015, the company issued a voluntary recall for several chicken and turkey blend raw foods due to potential salmonella contamination. The Bravo pet food brand is one of the higher quality brands on the market and they aren’t available everywhere. You can find this brand in some specialty pet food stores and local pet store chains as well as veterinary offices. This brand is sometimes sold by independent online retailers as well. To save money on this brand, look for Bravo dog food coupons online or sign up on the company website to receive their e-newsletter which may include special offers. You might also be able to find Bravo coupons from independent retailers. Bravo is not your average pet food company. Not only do they use the highest quality ingredients that nature has to offer, but they don’t follow traditional manufacturing processes like most pet food companies. This brand only offers raw frozen, freeze-dried, and high-quality canned foods so you should expect to pay more for this brand than you would for a typical kibble or canned food. For a 6-pound bag of freeze-dried dog food, you’ll pay about $95 but keep in mind that a bag this size can be rehydrated to create up to 30 pounds of fresh food. Bravo canned food comes in 12.5-ounce cans which are usually sold online in cases of 12 for $40 to $50 – that averages to about $3.75 per can. Prices for raw frozen food products vary depending where you shop. The Bravo pet food brand is dedicated to quality in all that they do so you shouldn’t be surprised to find that they offer some unique products. Rather than focusing on traditional kibbled dog foods, this brand offers an assortment of raw frozen and freeze-dried diets in addition to more traditional canned foods. If you’re looking for a product that is similar to kibble, this brand’s freeze-dried diets offer the ideal combination of high-quality nutrition and convenience since you don’t have to freeze the food or keep it in the refrigerator. If you want maximum quality and optimal nutrition, try a raw frozen diet. This brand also offers an assortment of premium canned foods as well as a variety of treats. Bravo dog food reviews are very positive, which shouldn’t be surprising given the quality of their products. This brand of dog food is different from many pet food companies in that they adhere to strict standards for quality and safety both in manufacturing and in selecting their ingredients. Another fact that sets this brand apart is that they do not offer traditional kibble – they only offer freeze-dried, raw frozen, and canned dog food products. Keep reading to find our Bravo reviews for one freeze-dried and one wet food product. Bravo Homestyle Complete Natural Turkey Dinner – This Homestyle Complete Natural Turkey Dinner freeze-dried formula is a high-quality diet for dogs in all life stages. It features protein-rich turkey as well as turkey organ meats for an added boost of nutrition and flavor. This recipe is naturally gluten- and grain-free, supplemented with healthy vitamins and minerals plus plenty of omega fatty acids. It is made without corn, wheat, and soy ingredients and free from artificial additives – it also doesn’t contain any hormones or antibiotics. Simply put, this is a high-protein, wholesome recipe for your dog that offers the convenience of dry food with the nutritional benefits of raw food. It is freeze-dried for freshness and flavor, so keep in mind that you’ll have to rehydrate the product before feeding it to your dog. The first ingredient in this recipe is fresh turkey and it is followed immediately by turkey liver and, later, by turkey hearts and gizzards. Fresh turkey is an excellent source of complete protein for dogs and the turkey organs provide protein, healthy fats, and essential nutrients. The main source of carbohydrate in this recipe is sweet potatoes and it is supplemented by chickpeas, green beans, and cranberries. These ingredients provide carbohydrate energy as well as dietary fiber – they also act as natural sources for key nutrients. The main source of fat in this recipe seems to be the organ meats, though it is hard to tell – overall, the fat content of this recipe is a little low. The remaining ingredients consist primarily of herbs and synthetic supplements. It is good to see that several of the minerals are chelated, though this recipe could benefit from the addition of some probiotics. This Homestyle Complete Natural Turkey Dinner freeze-dried formula is formulated to meet the nutritional levels established by the AAFCO Nutrient Profiles for all life stages. Overall, this Homestyle Complete Natural Turkey Dinner freeze-dried formula is a highly nutritious formula for dogs in all life stages. It starts off strong with fresh turkey as the main ingredient, supplemented with wholesome carbohydrates that are both gluten-free and grain-free. It is somewhat strange to see that a high-quality source of animal fat is not listed here, however, and the total fat content of the recipe is pretty low – marginally above the 5% minimum recommended for dogs. This recipe also relies fairly heavily on synthetic supplements, though it is good to see that the minerals are mostly chelated. This formula could be improved with the addition of dried fermentation products as well to support your dog’s healthy digestion. All in all, however, it is a very protein-rich formula that doesn’t contain any harmful or questionable ingredients. The only problem is the fat content – if you have a very active dog, this recipe might not meet his high needs for energy. Bravo Canine Café 95% Chicken & Liver Dinner Canned – This Canine Café 95% Chicken & Liver Dinner canned food formula is part of the Canine Café line of products which features protein-rich recipes made with high-quality ingredients. This particular formula features delicious cuts of chicken and chicken liver, supplemented with green beans, cranberries, garden greens, and green lipped mussels. This recipe is completely gluten-free and grain-free, plus it is free from artificial additives. All in all, it is a complete and balanced recipe for dogs in all life stages. The first ingredient in this Canine Café 95% Chicken & Liver Dinner canned food formula is fresh chicken and it is followed by chicken broth, so you can rest assured that this formula is full of natural chicken flavor. You’ll also find chicken heart and chicken liver on the list as additional sources of protein, healthy fats, and essential nutrients. For carbohydrate energy and dietary fiber, this recipe relies on green beans, cranberries, dandelion greens, and parsley. These ingredients also contribute natural vitamins and minerals to complement the synthetic supplements. You’ll be glad to know that this formula includes chelated minerals as well. This Canine Café 95% Chicken & Liver Dinner canned food formula is formulated to meet the nutritional levels established by the AAFCO Nutrient Profiles for all life stages. Overall, this Canine Café 95% Chicken & Liver Dinner canned food formula is a high-quality formula for dogs in all life stages. It is loaded with fresh chicken and organ meats to deliver high levels of protein and healthy nutrients, not to mention natural flavor. This formula is completely gluten-free and grain-free, plus it contains fresh fruits and vegetables to balance out the synthetic supplements. All in all, this would be a great recipe to feed your dog.